A while back I had a guy come ask me, “I want a bigger chest. What else should I be doing for my chest?” I asked him what he was currently doing and he rattled off 4 different chest exercises. My first thought was, "and you think you need more?" For many, the goal of muscle gain seems so elusive. If you want to gain muscle, you no doubt want to gain it as fast as possible. As a result, you will be tempted to add more stuff to their training and you could end up slowing down rather than speeding up your progress. If this is you, keep reading because what I am about to tell you will save you years of frustration. This is a big one, which is why I wrote the previous post 13 Mistakes that Will Kill Your Muscle Growth. If you have not done so yet, please read this and make sure you are not making any of these mistakes! Trying to gain muscle while simultaneously pursuing other goals is a recipe for failure. Even slow muscle gain can require a complete focus. Sure you may have other goals that are important for you, but put them on hold for a given period of time and focus on gaining muscle. Then down the road you can shift gears and focus on maintaining lean muscle while you pursue your other goals. Pick the best exercises – for YOU! As with any goal, training success starts with picking the right exercises. When it comes to building muscle, almost every article and book preaches the same thing – big, compound multi-joint movements such as squats. They do this for the very simple reason – they work! However, let me through a slight curve ball at you – you need to pick the best version of exercises for YOU. Note: you may be totally different and that is fine! Some people just want to gain muscle on their upper bodies. If this is you, do not make the mistake of ignoring your legs. Heavy, hard leg training is essential not only to build muscular legs, but also to help your whole body grow. For more information on this, please check out my post: Squat Your Way to a Bigger Upper Body. While multi-joint movements should be your main focus when trying to build muscle quickly, that does not mean that you should avoid all single-joint accessory movements. Depending on your structure, you may find it difficult to hit certain muscles with your main movements. For example, my arms have always been my problem muscle group. While I do a lot of heavy upper body pulling and pressing, I find I need to add a small amount of single joint work or they waste away. Also, there are some muscles (e.g. forearms and calves) that are not hit that hard with the big movements. The trick with this is to not get carried away. These should be a moderate, focused, specific addition to your main movements. You will likely need around 70-85% of your max weight on most of your work sets. While many people go over-board here, others make the opposite mistake and keep the volume too low in fear of overtraining. With muscle gain, most people need a decent amount of volume. Volume helps create the metabolic stress need to force the muscle to get bigger and not just stronger. This would be approximately 75-100 reps of a big muscle group per week (this can be done in one session or split over multiple sessions). Note: There are people who do gain muscle well with low-volume. If this is you, keep doing what works for you! Your individual body - some people do better hitting a muscle group with a lower frequency (e.g. once every 5-7 days) while others do better with a higher frequency (e.g. 3-4 times per week). I would suggest starting with 2x per week, but also experimenting from time to time with higher and lower frequencies. Your exercise selection and recovery. If you are trying a higher frequency, you need to make sure the exercises you choose do not beat on your joints and that you are able to put the extra time into sleep and eating so you can recover. The argument for high frequency is often based on math. If you go from hitting a muscle 1 time per week to 3 times per week then in a year you move from 52 to 156 opportunities for growth. However, the key thing to remember is that you have to train a muscle hard to make it grow and you need some recovery. High frequency can work - at least for some people, but always remember that it all comes down to not getting hurt and making progress. If training less frequently allows consistent progress, then you might end up gaining more muscle in the long run. For best results, most people do great training about 4 days per week for about 45 minutes per session (not including warm-ups). Sure you may be able to get away with training 5-6 days per week, but this may not be optimal for your results. By all means give it a try if you want, but only stick with it if you are actually progressing faster than you did with 4 days per week. Also, if you are really busy, you might find that training only 3 days per week allows you to gain the fastest. Once you have sufficient volume the biggest and most important thing with training is seeing performance improvement. For example, if you can squat 100lbs for 8 reps and you get your squat up to 300lbs for 8 reps (and keep a proper depth); your legs will have to get bigger. Coming back to the guy I told you about at the beginning of this post, I asked him how much weight he could use for the dumbbell bench press. He said 50 pounds. My advice to him was to cut the number of chest exercises down to 2-3 of the best ones (based on the criteria I gave you above) and focus on getting his performance up to where he could do dumbbell bench presses with 80-100 pounds. To increase your gym performance, you need to keep a detailed training log. You can use your phone with a cool app or the old-school pen and paper option, but just be sure to keep a detailed log and progressively add weight most training sessions. For more information on this, please see my post: 3 Ways to Build Size and Strength. For many people trying to gain muscle and failing, a huge part of the problem is also often their nutrition. If you on an appropriate muscle building program and want to accelerate your muscle gains, spend the extra time you would spend in the gym doing inferior isolation exercises working on your nutrition. Go shopping for high-quality food, chop vegetables, barbeque meat, eat and wash dishes. For more information on muscle building nutrition, check out my previous posts on Nutrition Tips for Muscle Building Part 1 and Part 2. Creatine monohydrate is not new, but it has stood the test of time and has been proven in the research lab and in the real world to help build muscle. If you are doing the other things, adding creatine can speed up your gains. It is possible that you could already be doing everything right when it comes to training and the only thing holding you back from gaining the muscle you want is that you are not eating enough quality food. Instead spending more time in the gym, spend that time logging your food. Then if you are not gaining, try adding an additional 300 calories per day and see how that works. 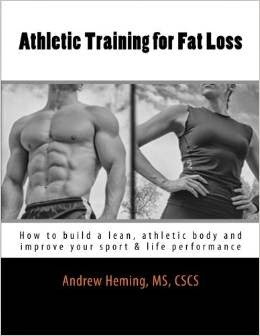 For more information, check out this post on Food Logging for Improved Body Composition. Weigh yourself weekly, do waist measurement biweekly and full measurements every four weeks. The changes will be small, but you will know if you are on track or need to make some adjustments. For more information, check out my post on A Cheap, Simple Way to Monitor Your Body Composition. Always remember that you are muscles do not grow in the gym. Once the training and nutrition are in order, spend more time on recovery and you will grow muscle faster. Adjust your schedule to spend more time sleeping each night. 10 minutes a few times a day to lie down and do some deep breathing. Take a power nap if does not interfere with your nighttime sleep. Spend some time before you go to bed each night doing foam roller work and lying on length-wise on the foam roller. Follow this up with some static stretching. Look to get a professional massage a few times a month (more if you can afford it). Once you are doing all this, the last and extremely important piece of the puzzle is to simply be patient. While the information I gave you will help you gain muscle as fast as possible, muscle gain is a slow process – especially if you are past the beginner phase. Have realistic expectations. If all you look at is the ads for supplements and muscle gain ebooks, you will be disappointed with anything less than 20 pounds a month. Do not get stressed out about gaining muscle faster as you will end up secreting cortisol which wastes away muscle tissue. Gaining muscle is not easy. If it was, everyone would do it. However, it is not complicated. Diligently follow the advice given above and enjoy gaining muscle as fast as possible. Note: I am not responsible if you need to buy a new wardrobe. How about you? What has been helpful for you in your quest to gain muscle?